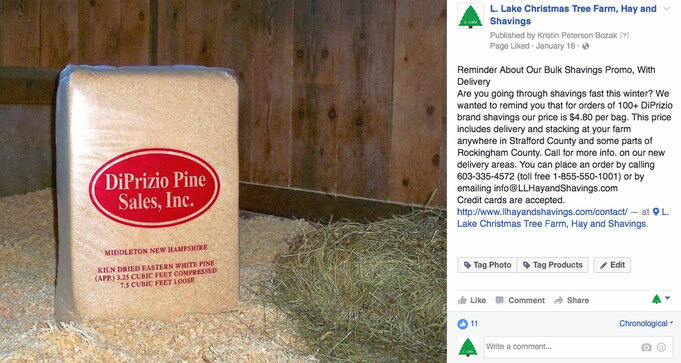 Facebook ad promoting shavings sale and new delivery areas. 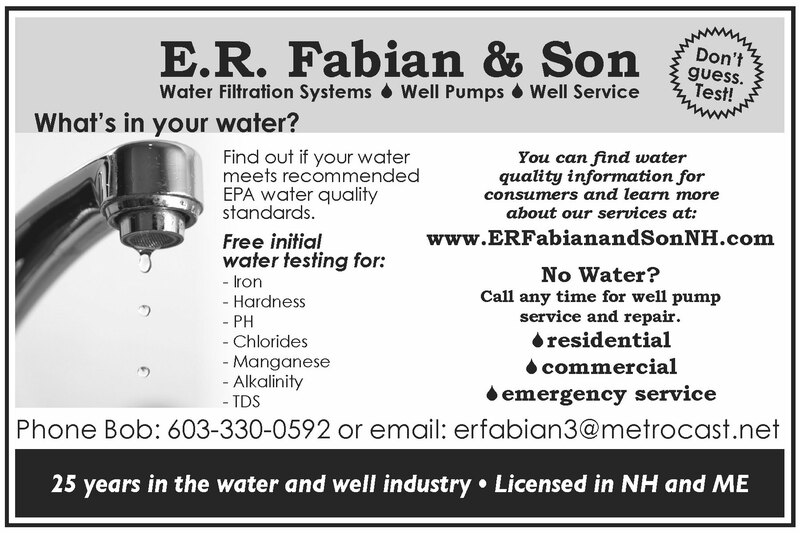 Targeted to horse owners. 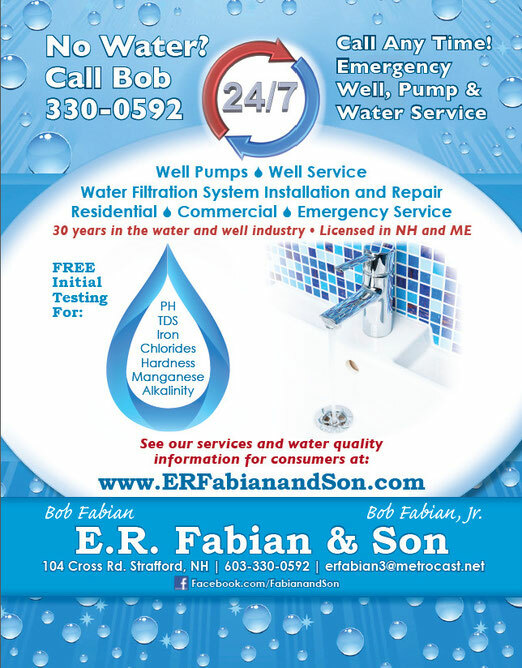 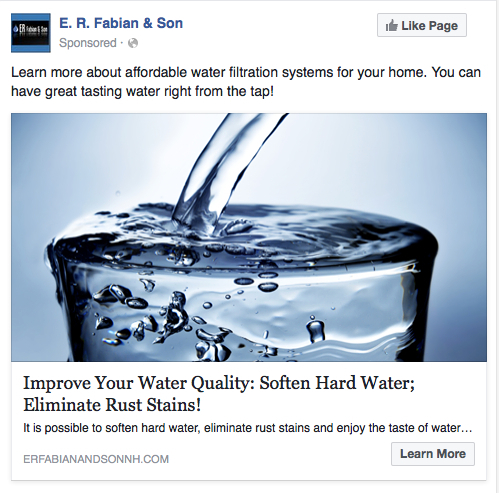 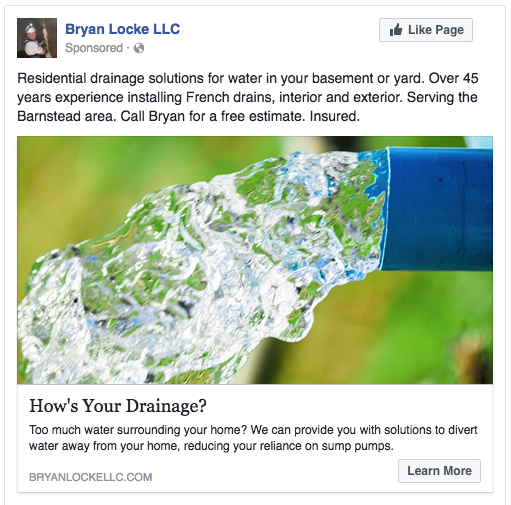 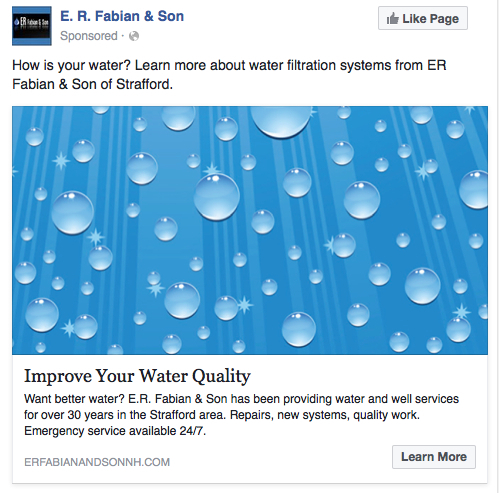 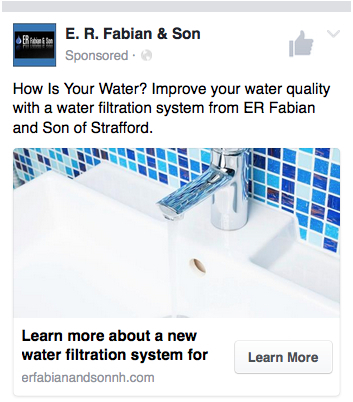 Facebook ad for a residential drainage system installer, basement waterproofing service. 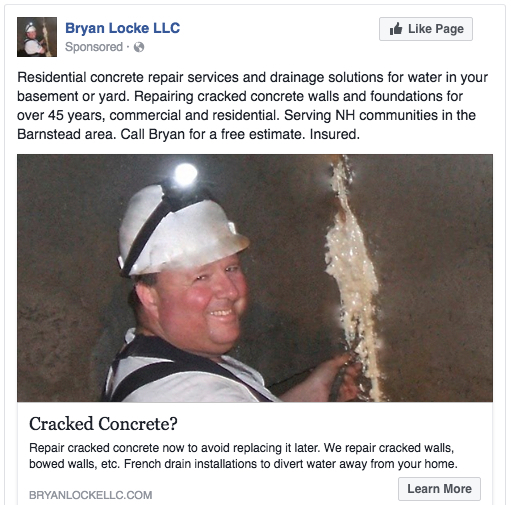 Facebook ad for a local concrete repair contractor. 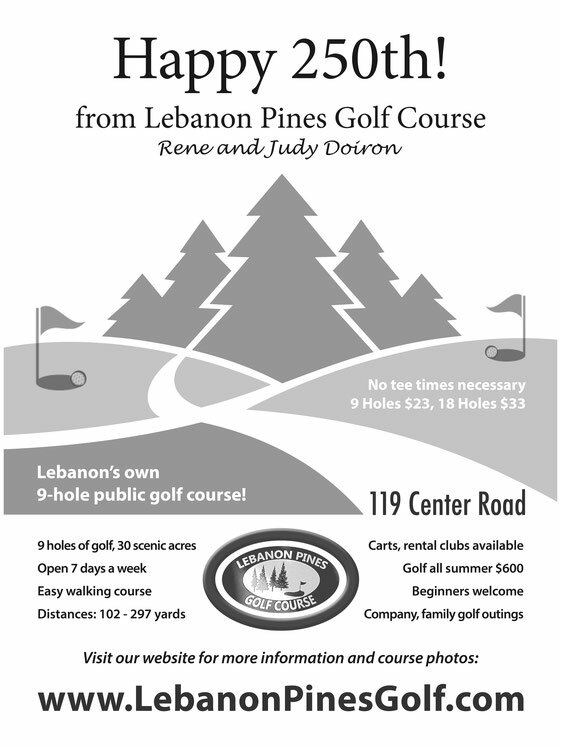 Full page, black and white ad to appear in Lebanon, Maine's 250th anniversary celebration souvenir program book. 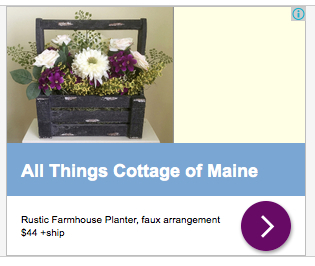 Actual size is 8" x 10". 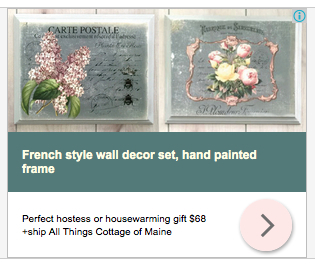 Small sidebar ad that appeared in an e-newsletter in fall of 2015 for one of my clients. 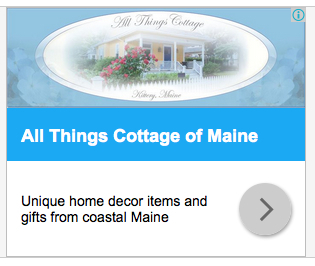 When the reader clicks on the ad, it takes them to the website for more information. Ad that appeared in The New Hampshire Wildlife Federation's "New Hampshire Wildlife" fall 2016 newsletter. 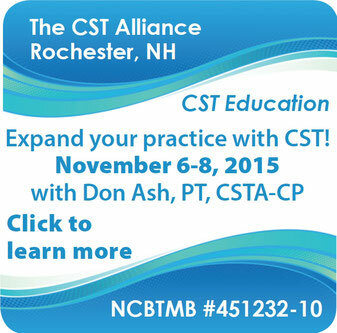 This ad appears in the sidebar area of a massage therapy association website. 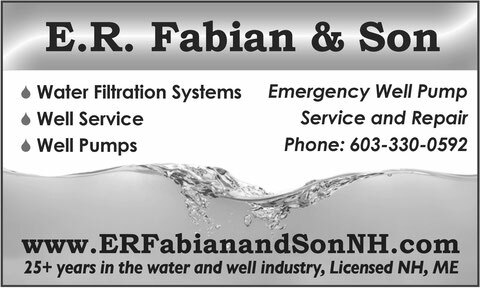 Students interested in my client's classes can learn more when they click on the image. Approx. 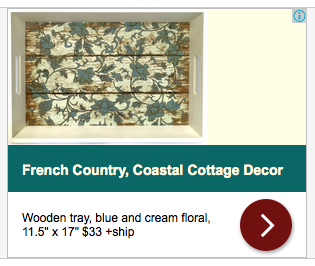 actual size is 5" x 2.5". 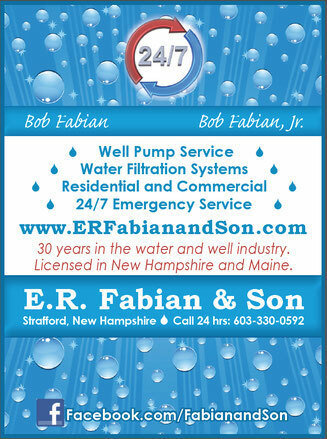 Artwork for a placemat ad at a local restaurant, click to enlarge. 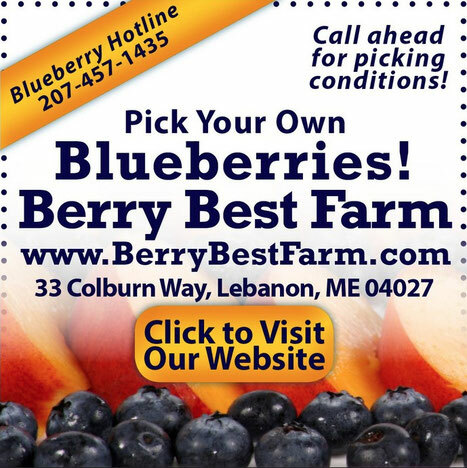 Restaurant placemat ad, click to enlarge. 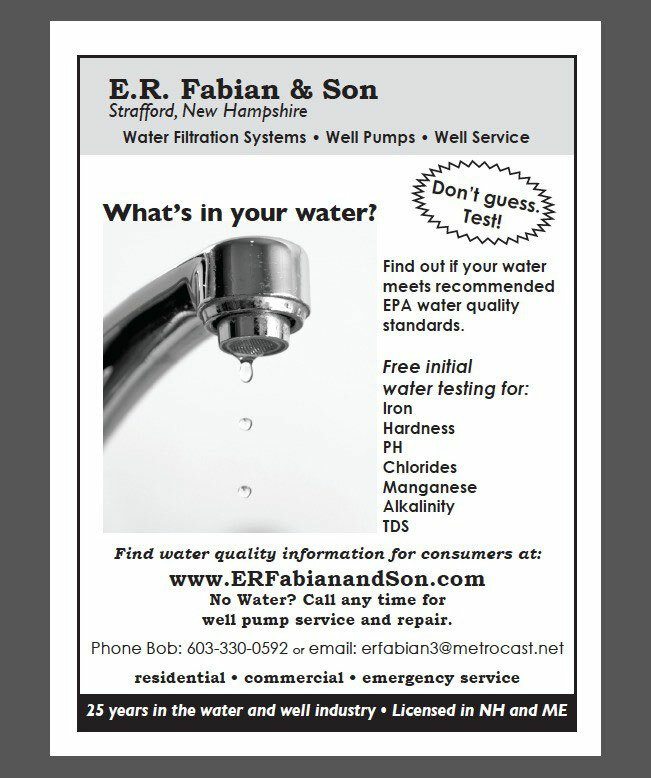 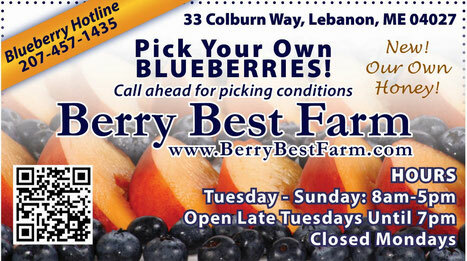 Print ad for a local newsletter.